Indian Government has made it mandatory to link your insurance policies with Aadhar. This can be done either offline or online. If you want to do it offline, go to the nearest branch office of LIC along with your policy documents, PAN card, and Aadhar card and ask the staff to associate the two. However, the online way is much simpler and will take only 2 minutes to complete. 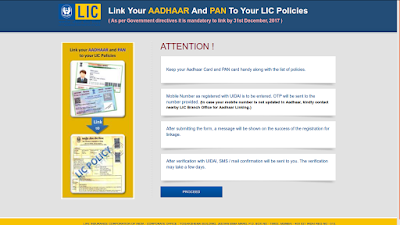 Below I will explain how to do it but before that keep your LIC Policy ID, PAN card, Aadhar card and mobile number linked to Aadhar card handy for you. Rooting is nothing less than opening a Pandora’s Box where you can find each and everything you name. Rooting is sort of independence for an Android smartphone after which you can install many apps and bring on many functionalities which were not possible earlier. Rooting is same to Android what Jailbreaking is to iOS. Rooting gives you administrator privileges to your device. It is similar to the administrator permission we have on Windows. Also, there are various apps in the Android market whichwon’t work on an Android phone not rooted because they require access to the root directory to work properly. You can install a custom ROM too only when you have a rooted smartphone. 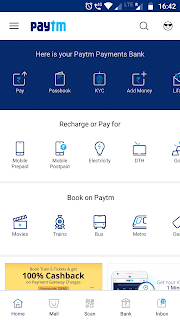 Paytm is the most used digital wallet in India right now and is now quite ingrained into the ecosystem of digital payments. After demonetization, it has got a very big boost and now even our local Kirana stores to office canteens accept payments through Paytm. However, recent RBI guidelines plan to bring a spanner into this seamless way of paying one another. 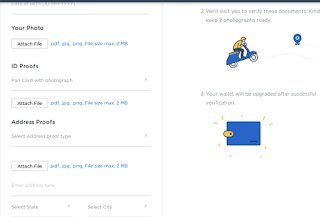 All online wallets are now mandated to get the KYC of their users failing which the users won't be able to do wallet to wallet transactions nor will they be able to upload more than Rs.10,000 in their wallets within a specific month. Paytm has welcomed this guideline unlike many other smaller wallet operators and for the same has contract employed a large workforce to get the KYC done. At the time of writing this post, Windows 10 is still in beta but by the time you are reading this, probably it would have been already released. Changing your default browser is a little different to how it was before but it is not much difficult though it does require a few extra steps. Earlier, you could have just gone to the Options menu in your new browser and there could have selected "Make Default" to make the browser default but in Windows 10 this doesn't work and your default browser will still be Microsoft Edge.